We’ll always have Kappa Kappa Tau. While a third-season renewal of Ryan Murphy’s Fox comedy-horror romp Scream Queens is still up in the air, one of his leading starlets won’t be present for more screaming activities either way. 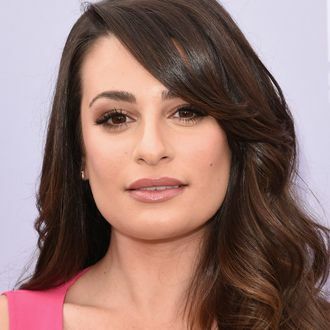 Per THR, Lea Michele has signed on to star in ABC’s new Daveed Diggs–produced comedy pilot about a young rapper who runs for mayor of his town as a publicity stunt, but when he actually gets elected, “surprises everyone when he has a natural knack for the job and slowly transforms City Hall.” The mayor will be played by Brandon Micheal Hall, although details on Michele’s role aren’t officially known — her part was originally planned to be the mayor’s chief of staff, but it’s “being adjusted to specifically accommodate” her. For the move to ABC, sources told THR that Murphy released Michele from her contract with Scream Queens and her new casting has no bearing on if the series returns. Translation: Should a third season occur, Michele’s Hester will definitely not be there. The Chanels will be ecstatic.